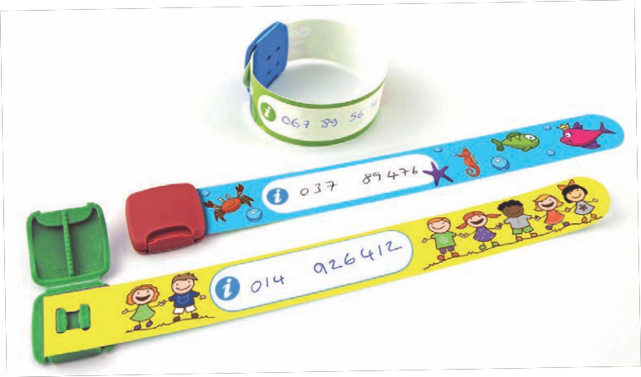 PDC BIG, global industry leader in People Identification has enhanced its range of ID solutions with reusable and secure ID Kids personalised wristbands for children. With this innovative product, PDC BIG strengthens its market leadership across the events, leisure and entertainment, retail, local authorities, education and family-support sectors. The PDC BIG ID Kids wristbands are an excellent solution for families and guardians to use in venues and public places, minimising risks to child safety. Losing sight of a child can happen to anybody and it is traumatic for both adults and children. It is estimated that 90 percent of families globally are affected by accidental wandering in public places. 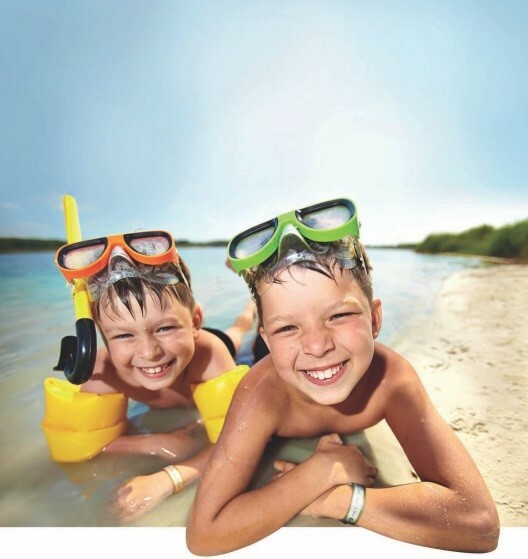 Most parents or guardians will briefly lose sight of their child at some point when visiting open or public spaces such as shopping malls, entertainment, leisure and sport facilities, fairs and festivals, campsites, amusement parks, beaches, stations and airports, making the wristbands a “must have” solution. Parents who used the ID Kids wristbands in such places confirmed that the fact that the wristbands are secure and reusable provided them with priceless peace-of-mind. The ID Kids wristbands are completely child-friendly and safe – they are colourful, fun, comfortable and designed for small hands. The water-resistant wristbands are highly secure and effective in all-weather. They are reusable and secured with locking snaps which are too strong for children to open. Meanwhile children have the freedom to move around and participate in various activities. Families and guardians can purchase these wristbands when visiting such venues and handwrite their contact numbers. Their colourful, fun and highly-visible designs provide tangible assurance and security for families in public spaces, while venues can maximise brand awareness through customisation with brand elements and other promotional features. PDC BIG is synonymous with innovative solutions that revolve around security, quality, brand and ease of use. Its comprehensive range of ID solutions includes name badges, wristbands, lanyards and accessories for badges. They are used globally within Leisure, Entertainment, Retail, Healthcare, Hospitality and Events industries. Part of the Brady Corporation, it processes more than two million name badges, a billion wristbands, half a million lanyards and 13 million business cards each year for companies of all sizes and across all industries from its global manufacturing facilities. PDC BIG is a global leader in people identification. We connect people, products, and technology through innovative ID solutions that deliver superior customer experiences worldwide. We are focused on quality and excellent customer service. We provide the most innovative and widest available range of identification products such as wristbands, badges, lanyards and accessories to customers all over the world from our manufacturing facilities located in the United Kingdom, Belgium, the United States, Mexico, and China. PDC BIG is committed to quality and sustainability. We are proud members of Sedex (http://www.sedexglobal.com/), the global not-for-profit organisation dedicated to driving improvements in ethical and responsible business practices in global supply chains and Made In Britain ( www.madeingb.org). We operate a strict Quality Management System, incorporating a robust Quality Assurance Policy which complies with the requirements of ISO 9001:2008.